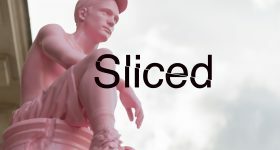 Today’s 3D printing news sliced features updates from Boeing, TCT, Additive Manufacturing Technologies, 3D Hubs, Mcor, TRUMPF, Sintavia, Organovo, DuPont, Haydale Graphene, Shapeways, Builder Extreme, Cubibot, nano-tera, The Government of Dubai, Bloodhound, The Science Museum of Virginia, Aspect Biosystems, InSCREENeX, Swinburne University, The University of Maryland, PAMM, and Adam Savage. 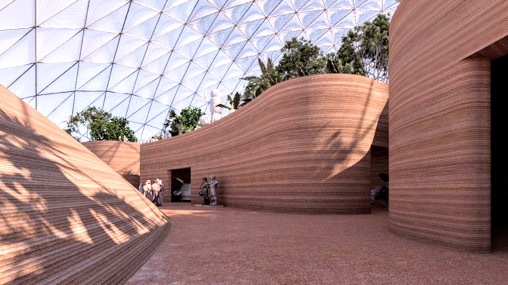 The United Arab Emirates has launched the Mars City project, a planet colonisation simulation project to rival that of SpaceX and NASA. Of particular interest within the site is a museum with smooth 3D printed walls comprising sand from the Emirati desert. A visualisation of the Mars City museum walls. Photo via Mars City. Swinburne University of Technology, in Melbourne, Australia has received AU$135 million from German electronics giant Siemens to invest in industry-class digital tools. 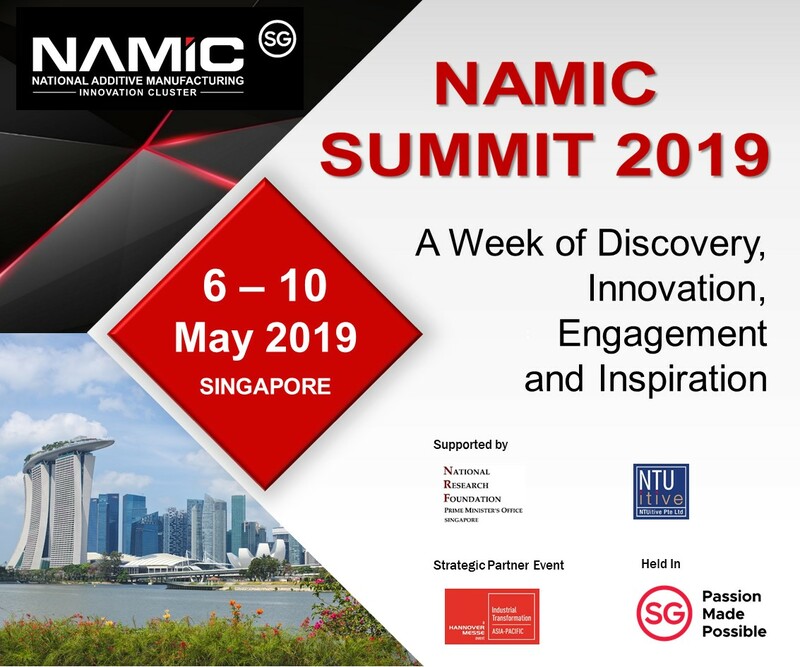 The donation will go towards turning the Swinburne University of Technology’s Manufacturing Futures Research Institute into a fully digital Industry 4.0 manufacturing research facility. Industry 4.0 analysis at the Institute includes research into bespoke additive manufacturing, automated machinery and graphene applications. The Pérez Art Museum (PAMM) in Miami, Florida, is to host a 3D printed mobile café, named “Cucuyo”. At its centre will be a 3D printed stainless steel cocoon structure weighing over 300kg. The structure was designed by Berenblum Busch Architecture, and manufactured in three distinct sections by Amsterdam workshop MX3D. The structure itself may be disassembled and moved elsewhere. The Cucuyo café-bar in the MX3D workshop. Photo via MX3D. Irish 3D Printing company Mcor has announced that CREAT3D is to become a reselling partner for its Mcor Arke desktop colour 3D printer. The news follows Mcor partnership with and demonstration of the Sony Xperia’s new 3D creator mobile app. 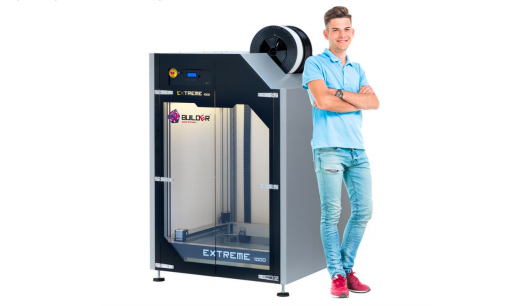 Builder 3D printers has launched its Extreme 1000 printer, with a build volume of 700x700x820 mm and filament spools of 4.5kg. The Builder Extreme with human for comparison. Image via Builder 3D Printers. 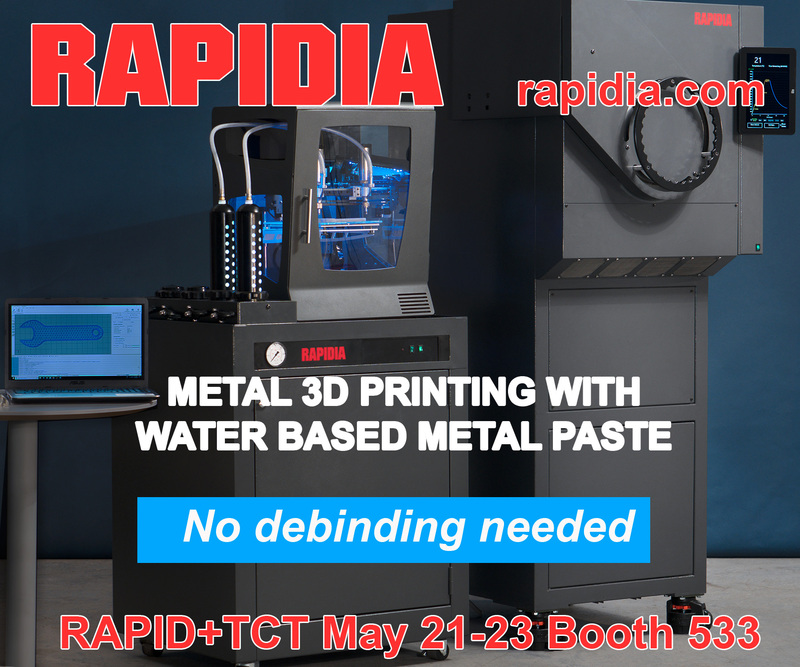 Metal powder and alloy manufacturing company Sintavia has announced a partnership with laser 3D printer company Trumpf for working on machine qualifications for aerospace applications. The agreement see the TRUMPF TruPrint 3000 installed at Sintavia’s Florida facility. Cubibot, a 3D printing startup from father and son team Aria and Sina Noorazar, has launched its first printer for preorders and early backers for $199. 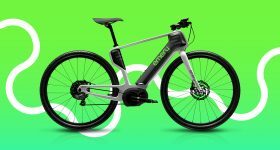 The first units are set to be shipped in early 2018. Cubibot in use 3D printed architecture models. Gif by Cubibot. DuPont has announced that their Hytrel thermoplastic elastomer and DuPont Zytel nylon-based filaments will now be sold in Canada, the US and Mexico through Coex LLC. 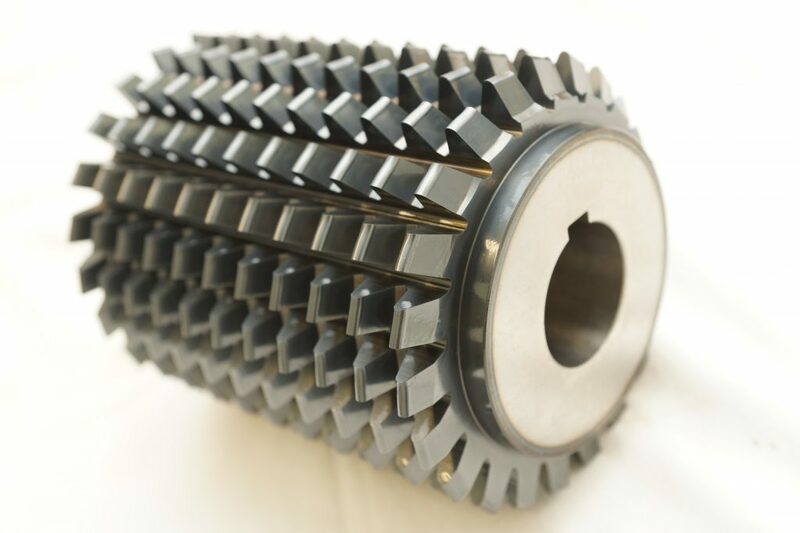 London based Haydale Graphene Industries PLC has sold its first 3D printing materials in China. The purchase of silicon carbide fibers and PLA 3D printing material was made through shareholder Everpower. 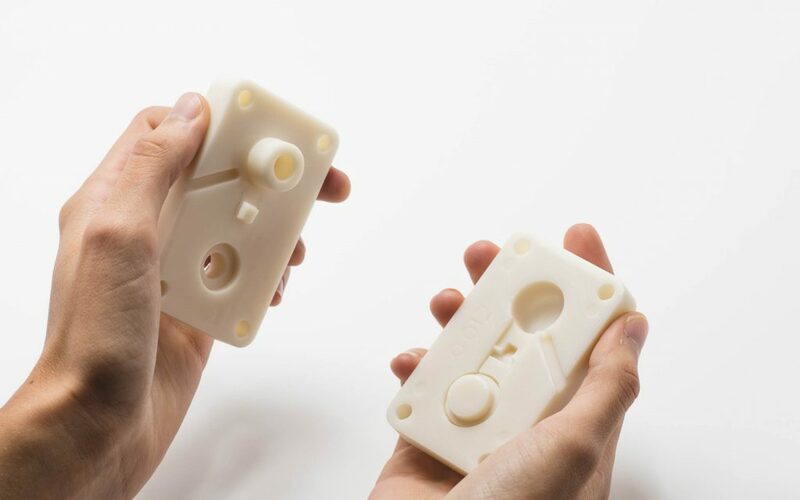 3D Hubs is to collaborate with Royal DSM to produce 3D printed tools and molds using the Somos PerFORM material. Somos PerFORM material. Photo via 3D Hubs. 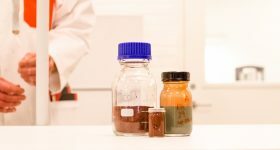 Italy-based FOMAS group and Austrian company Inteco have signed a cooperation agreement to produce additive manufacturing metal powders. 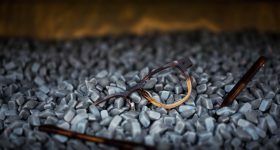 VBN Components and LKAB Wassara, both based in Sweden, are to collaborate over the use of VBN’s “Vibenite” wear resistant materials for additively manufacturing water-powered drilling equipment. The partnership will increase the efficiency of prototyping and developing LKAB Wassara’s engineering equipment. A Vibenite 3D printed gear set. Photo via VBN technologies. 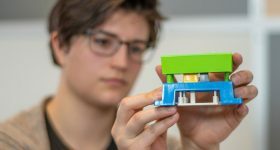 The winners of Formnext’s startup challenge include a host of additive manufacturing startups including Additive Manufacturing Technologies with PostPro3D post processing solution for 3D printed objects. The full list of winners and their products can be found here. 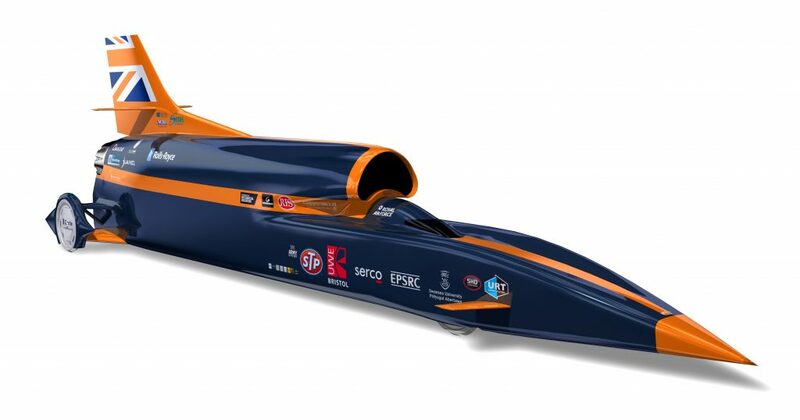 The Bloodhound SSC, which was prototyped using 3D printed metal parts produced by Renishaw, has undergone its first high speed tests. It is hoped that the supersonic car will ultimately set a land speed record beyond 1000 mph. The distinct appearance of the Bloodhound SSC. Image via Renishaw. Boeing is to sponsor a competition to develop a jet pack, with a $2 million prize. The “Go Fly Prize”. 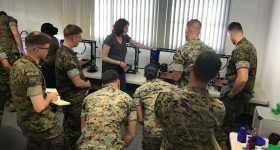 The Prize’s originator, Gwen Lighter named 3D printing as one of the manufacturing processes which may be used in combination with autonomous vehicles to produce a working jet pack. Aspect Biosystems, notable for its bioprinting technologies, is collaborating with cellular testing company InSCREENeX and the Fraunhofer institute for Toxicology and Experimental Medicine (ITEM) to expand Aspect’s applications for printed contractile cell tissue. 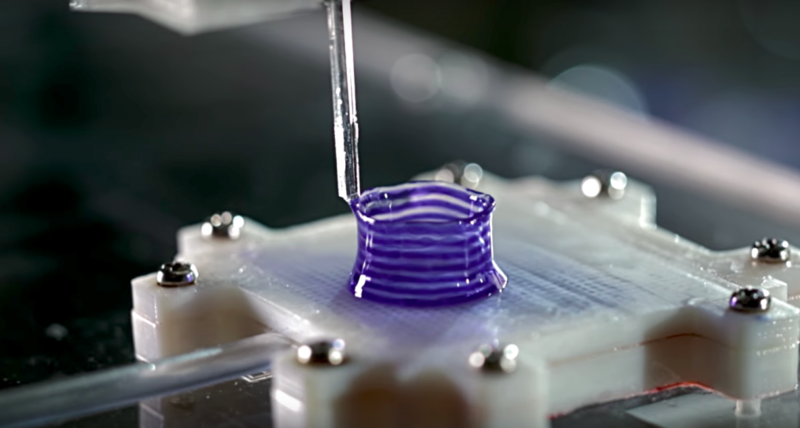 The Canadian company’s current Lab-on-a Printer used coaxial flow focusing to generate a cell-laden biological fiber within the cartridge and print it as a 3D structure, resulting in Aspect’s Bioring platform, which mimics actual human muscle tissue. Using InScreenX’s cell systems and Fraunhofer ITEM’s toxicology testing, Aspect’s bioprinting platform will be integral to the development of new medicines. Aspect’s bioprinter in action. Photo via Aspect Biosystems. The US National Eye institute has awarded $90,000 to the University of Maryland’s ScD group, for their proposal to 3D screen print layers of adult neural progenitor-derived retinal neurons, which resemble the structure of the human retina. The proposal won the NEI’s 3D Retina Organoid challenge. Researchers at the University of Maryland have also combined carbon nanotubes with nanofibriliated cellulose to produce conductive microfibers. These microfibers can be 3D printed quickly and used in wearable and flexible electronics. An Organovo 3D printer is to be used by Melbourne’s Murdoch Children’s Reasearch Institute to conduct research into kidney diseases. 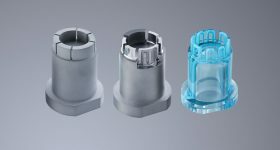 The machine will be used to bioprint miniature kidneys on which new drugs can be tested, making trials much safer, and significantly reducing the time it takes to receive results. Paul Kucera, a scientist at the US National Center for Atmospheric Research, and Martin Steinson, from the University Corporation for Atmospheric Research have created a solar powered 3D printed weather station for the The Science Museum of Virginia at Richmond. The apparatus cost $400 to print and build and it was set up in a matter of hours. The pair eventually hope to make the .STL files for the weather station open source for use all over the world. Researchers from the École Polytechnique Fédérale de Lausanne in Switzerland have used 3D printing to create an eel-like robot, capable of swimming, to measure pollution levels in a lakes. 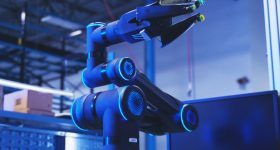 Named the envirobot, it is part of Swizerland’s Nano-Tera program to develop complex engineering systems for health, environment and energy applications. Valve Corporation, a video game developer best known for its Steam computer game platform has signed an agreement with Shapeways. 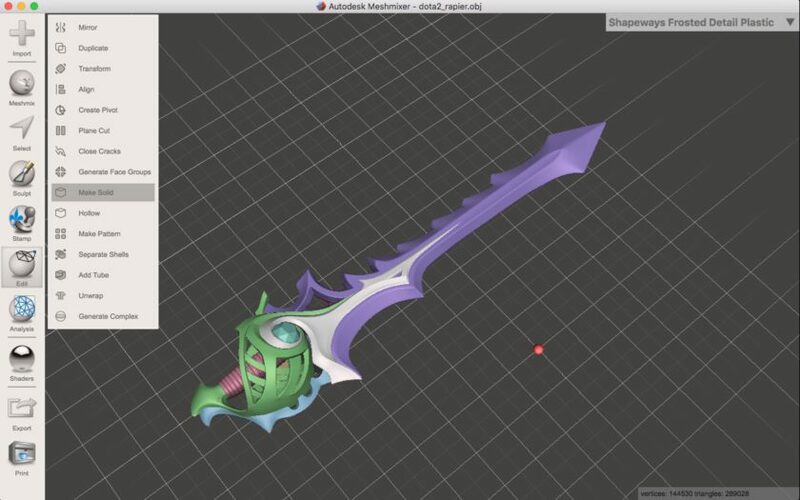 This will allow them to customise and 3D print characters from its franchises and sell them on the Shapeways. Fans of DOTA will be especially happy. Image via Shapeways. Berlin Artists Katya Kováks and Tom O’Doherty have created a 3D printed speaker instillation at the Los Angeles County Museum of Art. Named “Signal Tide”, the instillation engages with unexplained signals transmitted by Lincoln Experimental Satellite (LES-1), decades after it fell into disuse. Overhead speakers play the audio signals from the satellite whilst music three, namely new versions of the traditional folk songs Fleeting Days, Funeral Anthem, and The Lone Pilgrim serenades it as it arrives on earth. Designer and presenter Adam Savage is visiting a range of maker-spaces as part of a web-series produced by Tested. Featured in the series are a range of digital fabrication centres, some of which use 3D printing alongside milling and welding. Scott Crump, inventor of FDM printing and co-founder of Stratasys was inducted into the TCT hall of fame, for his contribution to additive manufacturing. Joining him as an inductee is Dr Adrian Bowyer, inventor of RepRap. 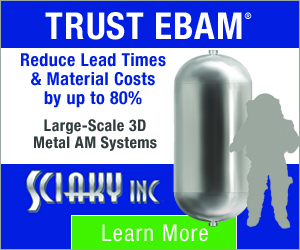 Congratulations also go to Chuck Hull of 3D Systems who inventing Stereolithography, Hans Langer the Founder of EOS and Materialise founder Fried Vancraen. 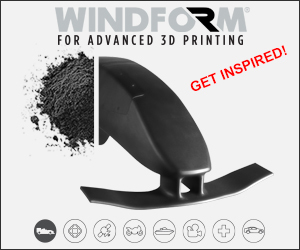 For a daily update on the latest 3D printing news, subscribe to our free 3D Printing Industry newsletter, follow us on Twitter, and like us on Facebook. Featured image shows a 3D printed muscle ring from Aspect Biosystems. Photo via Aspect Biosystems.